2014 was definitely the year of the Brit’s, with the likes of Ed Sheeran, Sam Smith and One Direction taking the world by storm. The official Brits 2015 awards ceremony will be held on the 25th of February, and departing host James Cordon has been replaced by Ant & Dec.
It’s arguably the greatest awards show on the British music calender and has provided us with so many amazing, incredible, and controversial moments over the years. Who could forget poor Adele having her winner’s speech for album of the year interrupted after just 30 seconds so Blur could perform their set at the end of the night, as the show was over-running. Or the infamous moment when Pulp’s Jarvis Cocker stormed the stage during Michael Jackson’s performance of ‘Earth Song’ in protest over his ‘Christ-like’ appearance surrounded by children. In fact, each year there has been one controversy or another, and it wouldn’t quite be the Brits without it. Beyond the spectacle though, who are the movers and shakers this year? And who can be expected to walk away with the gongs? The award looks like a straight fight between Ed Sheeran and Sam Smith, and it’s probably the diminutive Ginger who’ll come out on top. His album, Multiply, has sold 2 million copies in the UK since June, and has become the biggest selling album since Adele’s ’21’. Sam Smith cleaned up with four awards at the 2014 MOBO’s, and his album ‘In the Lonely Hour’, has also seen huge success on both sides of the Atlantic. Smith is sure to pick up at least one award from his five nominations, but this one should surely go to Sheeran after the success of his album. Ed Sheeran is once again the hot favourite, but this one might escape him and go the way of Sam Smith. 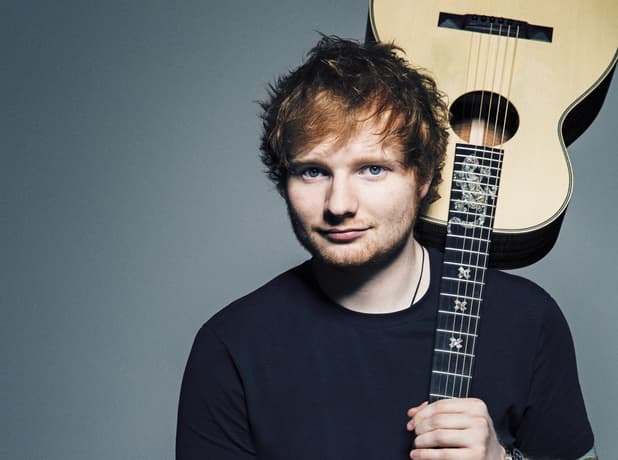 Sheeran’s already won the award, back in 2012, and it’s noticeable that the awards of Best Album and Best Male Solo Artist are rarely given to the same person. After the amazing year that Smith has had, he could easily follow in the footsteps of Ben Howard in 2013 by scooping this award along with Best British Breakthrough Act. He’s as short as 1/4 1.25 -400 0.25 -4.00 0.25 with Coral to win that award, ahead of George Ezra, Royal Blood, FKA Twigs, and Chvrches. Ella Henderson has had a fantastic 2014 with the chart successes of singles ‘Ghost’ and ‘Glow’ coinciding with the release of her debut album. However, Paloma Faith has also had a superb year, and after receiving nominations before, this may be her turn to win an award. This category isn’t perhaps as strong as the Best Male category, where at least four of the nominees have had excellent years. The inclusion of Lily Allen in the nominations probably speaks volumes, as although she is clearly a talented artist, she hasn’t had any real hits in this last year and made little impact on the music scene in 2014. Paloma Faith looks a strong favourite as her third album was the sixth best-selling album of 2014, and she’s starting to make in-roads into the American market. Ella Henderson also has a nomination for best single for ‘Ghost’, but it may be a bit too soon for her to win an award like this one. One Direction are the anomaly in this market and despite their success over recent years they’ve never won this award. They’ve been awarded the ‘Global Success’ award in each of the last two years, while Mumford and Sons and Arctic Monkeys have scooped Best British Group, and it’s quite possible that the voter’s will shun them once again. With the exception of a few awards, most are voted for by a selection of around 1,000 music industry insiders, and it’s possible that they look for a little more substance when picking their favourites in this category. Coldplay have won the award three times in previous years, and it would be a surprise to see them take it again after a less than stellar year. Clean Bandit could be a lively outsider after hits like ‘Rather Be’ and ‘Real Love’ made a splash last year, but the group that stands out for us is Royal Blood. They’ve already bagged support slots the Arctic Monkeys and the Foo Fighters, and their album became the fastest selling rock debut album of the last three years in the UK.